Card Agents – We'll Appreciate Your Collection. Card Agents: We’re your agent for turning your collectibles into gold! Since 2000, we have been professional internet auctioneers selling cards and comics, and more. We can tell you what your valuables are worth. Why truck down to the auction hall, when you can have all your needs met from the comfort of your own home?! Don’t know what you have? 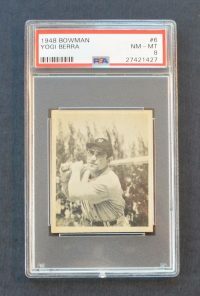 Can’t find that vintage sports rookie among thousands of unsorted cards? Contact us now to help! Having dealt with the appraisal and sale of collections valued over $50,000, we’ve built a strong track record of trust, excellence and professionalism. Starting out using eBay and other auction sites, we’ve earned power-seller status and 100% positive feedback. Our goal is to become independent of auction sites, buying and selling through our web-site and card shows. This means better priced cards and comics and unique collectibles and memorabilia that we can bring to a targeted audience.